I finished 3 more knives today, 2 for the website, 1 custom order. 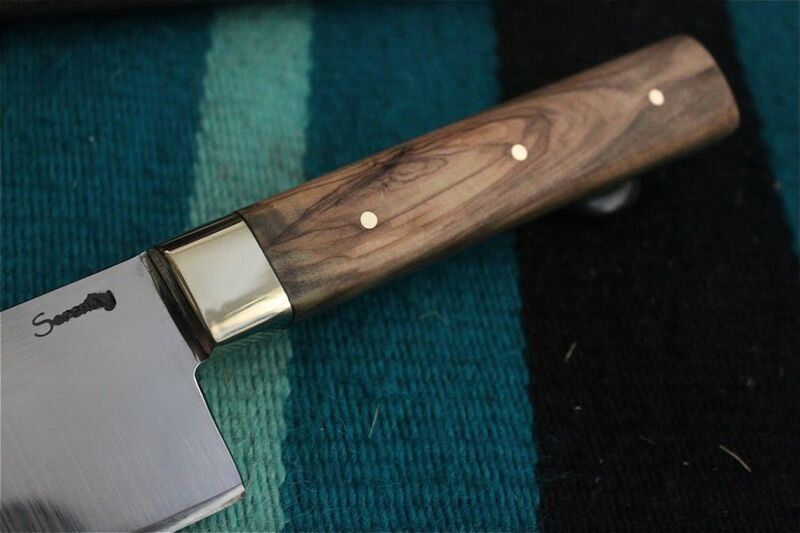 1084 steel, brass bolster with 3- 1/8" brass pins, olive wood handle, with black liner. This is my chef's knife design with a 6" handle. A detail shot of the handle and bolster liner. 1084 Steel with Purple Heart handle, 3-3/32" brass pins. Blade measures 7 1/2" long.